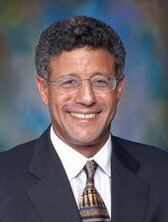 thebahamasweekly.com - Fred Smith: If the Government fixes Freeport it will fix The Bahamas! Fred Smith: If the Government fixes Freeport it will fix The Bahamas! That is what creates the economic constipation afflicting Freeport and The Bahamas generally. The Government has a unique opportunity to resurrect the Phoenix of Freeport from the ashes of political red tape and recession. This will require political courage to adopt a paradigm shift in foreign investment policies in Freeport and Grand Bahama. References to Freeport include Grand Bahama. If the Freeport experiment works, then with appropriate changes the model can be applied to the rest of The Bahamas for success! For Freeport to succeed, Government should trust the GBPA to be the One Stop Shop Licensing Authority for Bahamian and foreign investment under the Hawksbill Creek Agreement . References to GBPA include DEVCO. History reveals that Freeport boomed between 1955 to 1968 when foreigners freely invested. The post 1969 requirement for foreigners to be subjected to arbitrary, secretive, delayed and often duplicative (sometimes corrupt) approvals by politicians at the OPM, National Economic Council, Bahamas Investment Authority and the Investment Board has caused the economic constipation afflicting Freeport and The Bahamas generally. It is futile to promote business abroad yet when it arrives to frustrate it. The FNM Government needs to ride the May 10 Red Tsunami on its Red Salami and not flounder in a quagmire of Red Tape. It is good governance to respect the HCA. Less Government focus on the minutiae of Freeport will free up Cabinet time and energy and hundreds of millions in taxes to be spent elsewhere in The Bahamas. Thus far, illegal and over centralized control has stifled growth; it has simply not worked. Thus, it is in the interests of Government and the Bahamian taxpayer to do everything possible for the HCA to succeed! Take as an example, the ease by which foreigners originally invested under the HCA and when land sales was the economic powerhouse of development. I arrived in Freeport in 1976. GBPA and other developers promoted internationally. There were hundreds of sales agents. Charters from Europe brought thousands treated at the airport to drinks and glossy brochures; buses scooped them away with dozens of realtors salivating to sell as they were toured around the Magic Gardened City and then wined and dined and sold a dream! Before they departed days later, most prospects had entered into contracts; and some had resold for a quick profit! The Magic City’s Goose laid Golden Eggs. Combined sales were in the $30 to $ 40 millions annually. The late 1970s was a miraculous resurgence after a 10 year recessionary hiatus resulting from the 1st collapse of Freeport after Sir Lynden’s catastrophic “Bend or Break” speech; the breach of the HCA with the 1968 Immigration Act, the illegal OPM licensing interference (for both foreign and Bahamian licensing approvals) and the 1973 Commission of Enquiry. From the 1980s Freeport’s economy again collapsed because of illegal Exchange Control interference imposed by the PLP under Sir Arthur D Hanna and the 1982 Immovable Property Act made property worthless. Sales dropped to derisory levels. The developers closed shop. The treasury lost millions in taxes and thousands drifted from Freeport again. Under “Bahamianization” most foreign realtors, appraisers, lawyers, accountants, doctors etc had been replaced by Bahamians. Ironically, these Bahamian professionals were thereby deprived of the opportunity of succeeding as the expats had. Property Sales financed development of infrastructure. The service charges financed Lucaya Service, GB Service, Tamarind and Princess Realty etc. LUSCO alone had over 800 Bahamians maintaining the City. Before the constricting immigration and foreign investment laws and policies agents made commissions; lawyers made fees; the treasury made stamp duty; GBPA made license fees; architects were busy; land surveyors were busy; contractors became busy resulting in a mini construction boom. Save for a brief period after 1992 when the FNM Government allowed greater autonomy to GBPA as the One Stop Shop, and immigration and investment controls were relaxed, Freeport has remained in the economic doldrums since the late 1990s. In my “experienced” view, what is needed is respect for the model that has repeatedly worked. Let me spell it out; the Hawksbill Creek Agreement. When there was less control between 1955 and 1968 Freeport and Grand Bahama boomed. After imposing abusive immigration controls in 1968, OPM licensing from 1969, Bend or Break , Exchange Control and the Immovable Property Act, Freeport rapidly and steadily declined. From 1992 when the FNM relaxed controls Freeport had a mini boom. From 2002 the PLP imposed strict controls and Freeport languished. From 2007 the world economy faltered and despite the FNM slightly relaxing controls Freeport declined. From 2012 the PLP set out to destroy the HCA and wrest regulatory control from GBPA. Strict controls were imposed with the GB Incentives Act 2016, resulting in an exodus of business from Freeport and a ghost town! The simple lesson is; More Control Less Growth. Less Control More Growth. The FNM should adopt policies that succeeded rather than failed. What is critically needed is respect for the HCA and greater flexibility in immigration policies. I am not suggesting a hands off approach by Government. Rather, I urge adherence to the HCA by Government, GBPA and the Licensees. The business of Freeport should be left to GBPA under the HCA. Government should deal with BIG PICTURE items and hold GBPA accountable for their obligations under the HCA. The Government should ensure that GBPA promotes the hell of Freeport! It’s that simple. It will cost the government and taxpayers less. The expense of running a city will be that of GBPA. Opportunities for profit by all the Licensees will be legion. The economy will boom. Currently, GBPA does little, if any promotions abroad, because when investors come, they are strangled in red tape. There is simply too much arbitrary political interference, uncertainty and difficulty in doing business in Freeport. Likewise with the development companies. If unhindered property sales could happen again Freeport would see a boom. Currently, it is a waste of time and money to promote foreign investors. I have experienced this first hand hundreds of times in smaller investments and a few times with some large, at times, BILLION dollar investors. With its promise to make Freeport succeed, Government has the responsibility and opportunity to make a quantum shift in the investment policies. If it courageously changed the investment environment, there would be a boom in sales; construction; restaurants; the services industry; tourism; industrial development and thousands of good jobs! The Government should stop restricting Bahamians and Foreigners openly, transparently and easily doing business. Exchange Control and Immigration will have to be dramatically relaxed. We will grow if we open our doors and welcome foreigners as permanent citizens of our economy. Until then, we will remain a flaccid and anemic economy. Restricting Bahamians and Foreigners openly doing business together chokes free enterprise, and ironically restricts opportunities for Bahamians. Doing the same old tired thing by having Government operate the OPM in Freeport and still requiring Exchange Control, Investment Board, NEC, BIA, Business licenses and secret Heads of Agreement approvals will continue to strangle business. I urge the Government to let the regulatory agencies do their jobs as set forth in the laws passed by Parliament. Resist the temptation to control and interfere at every minute level! Cabinet should focus on the bigger picture of good governance and planning, not whether or not Mr. Foreigner should get a permit to buy land in Freeport, build condominiums and a marina in a joint venture with a Bahamian; or not! Let GBPA deal with that. That is their lawfully delegated area of expertise under the HCA. Why should the NEC, BIA, IB or BEST be involved ? GBPA has master planned Freeport. It has a Building and Planning department. As for the environment, GBPA has comprehensive Environmental By Laws that are waiting for Government approval. This can be done overnight! This would even attract businesses from Nassau to do joint ventures with existing Freeport Licensees and investing foreigners. The GB Incentives Act 2016 will be repealed. Negotiations will quickly ensue between Government, GBPA and the Licensees for very attractive tax incentives to do business in Freeport . I was very much involved in this process in 1992 which led to the Freeport 1993 Act resulting in an environment for the subsequent mini boom. This can be a ready-made success story if the foreign investment paradigm is dramatically changed. I urge the Government to courageously take a dramatically different approach! After all; what can it lose? My advice to the FNM Government, is to really incentivize Bahamians and foreigners to invest in Freeport and Grand Bahama. Make business sure and easy in Freeport, as was intended by the Hawksbill Creek Agreement. Work with GBPA, the Licensees and the District Councils (in GB) to promote the hell out of Freeport and Grand Bahama both domestically and internationally.